After twenty-plus years of combined experience working for hundreds of homeowners and businesses in and around Lake Park, MN, we understand that it’s not easy to let a group of strangers onto your property to paint. At B&G Drywall, we’re a small, family-owned company, and we’re very selective about who we hire to represent us. We’re the best in the business because the only thing better than the quality of our work is the quality of our employees. 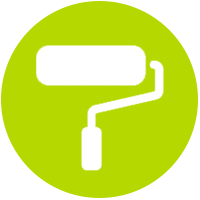 We provide both interior and exterior painting, and no job is too big or too small. We would love to offer advice on faux finishes, glazing and color washing options or make color suggestions for your home. Anyone can do a decent paint job, but it takes experience to produce truly stunning results. Great painting begins with prep work. We’ll begin by removing or covering everything possible in the room, including doors, light fixtures, trim and hardware, and cover your floors with drop cloths. We’ll address any needed wall repair by fixing any dents, cracks and holes, and sand out bumps, resulting in a smooth finish. Next, we’ll clean and prime the surface before applying the high-quality paint of your choice with our professional cut and roll technique, which doesn’t leave behind bleed marks. Our professional-grade paint machine makes big jobs a breeze. Color wheels are the old school way of choosing paint colors. Today, we use a color fan and offer more choices than anyone around. Plus, if you need advice, we’ll be happy to offer an opinion on what would look best for your home. 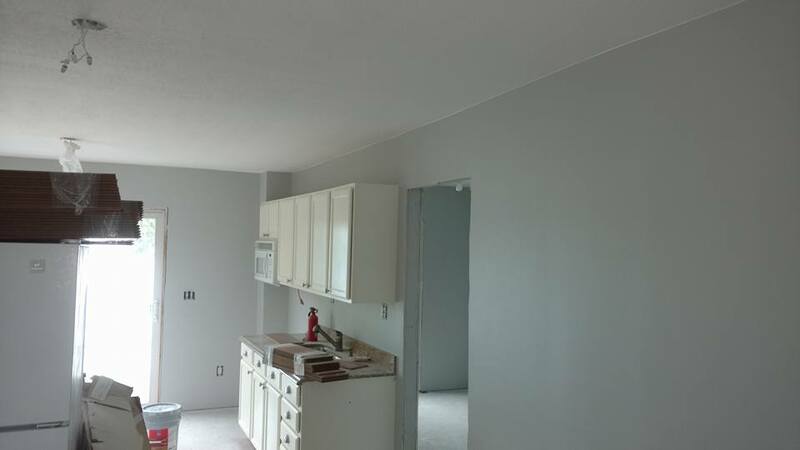 Since every painting job is one-of-a-kind, please contact B&G Drywall and one our professionals will come to your location at your convenience and give you a quote, FREE of charge!